Luis Sosa was born in Cuba and raised in West Palm Beach, Florida. Ever since he can remember, he has had a passion for law and the American justice system. Today, he is a proud attorney for Rosenthal, Levy, Simon & Ryles. Every day he fights for the injured and protects their interests against insurance companies that try to prevent fair and just recoveries. After graduating from the University of Central Florida with academic honors, he earned his Juris Doctor at Barry University School of Law. 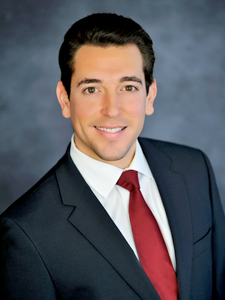 Sosa’s professional experience at David Chico Law Group and the 18th Judicial Circuit in Seminole County has prepared him for his newest role as an attorney at Rosenthal, Levy, Simon & Ryles. While at Barry University School of Law, he was a member of the Barry Trial Team and the Delta Theta Phi International Law Fraternity. He has been a volunteer with the Hispanic Human Resource since 2006 and strongly believes that being involved in the community is just as important as representing it. Luis Sosa’s willingness to go above and beyond the call of duty is evident. He specializes in personal injury cases and attributes his success to his firm belief that ͞every client deserves zealous representation.͟ Whether in the courtroom or at the negotiating table, Attorney Sosa is committed to providing his clients with an optimal outcome for their personal injury. from Stetson University College of Law. 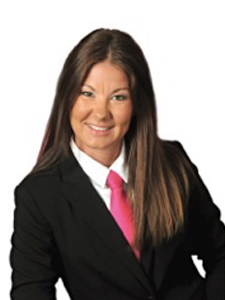 Taylor currently serves as the secretary of the Treasure Coast Justice Association and as a board member for the Coast to Heartland Chapter of the American Red Cross. As a member of the firm’s litigation department, Taylor is committed to securing the best possible results for each of her clients. 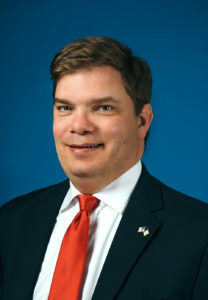 Michael Linn has served the Treasure Coast as an Assistant State Attorney since 2005. He attended law school at the University of Florida. He was a member of the Mock Trial Team and served as its President in 2003-2004. While in law school, he served as an intern for Circuit Judge Michael Jones. He also worked as a Certified Legal Intern for the State Attorney’s Office in the First Judicial Circuit. He is currently a felony trial attorney in St. Lucie County. For five years, he served as the County Court Supervisor in Martin County. While in Martin County he trained new attorneys, and assisted in the prosecution of DUI Manslaughter cases. Additionally, he is an Adjunct Professor at Indian River State College in the Criminal Justice program, and he teaches at the Police Academy. He speaks frequently at Florida Prosecuting Attorney Association conferences in topics ranging from domestic violence to prosecutorial ethics. He also is a frequent instructor at the DUI trial advocacy school for new prosecutors. Michael is actively involved in his community participating in Bowl for Kid’s Sake fundraiser for St. Lucie County Big Brothers and Big Sisters. He also attends Morningside Church in Port St Lucie and is a member of the St. Lucie River Chapter of the Sons of the American Revolution. 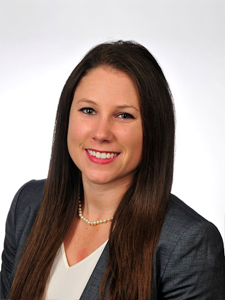 Alison Leffew began her law career at Michigan State University. A native of Michigan, she attended law school as a single mother while working full time. She also worked at MSU’s legal clinic and earned the prestigious book award for the course Client Counseling and Interviewing. Shortly after graduating with her law degree in 2002, she moved to Florida where she was awarded a Clerkship with a family judge and then became a Prosecutor with the 19th Judicial Circuit in Florida. After the birth of her son, she worked as a Senior Attorney with the Department of Children and Families in Fort Pierce, Florida. After working for the Department of Children and Families, she decided to open her own law practice in Fort Pierce, Florida, focusing solely on family law. She felt there was a need for a collaborative family law lawyer who put the needs of children as a paramount concern when litigating family matters. Alison Leffew is an avid boater, enjoys fishing and watersports. She is a member of the Florida Bar, President of the St. Lucie County Bar Association, former member of the Royal Palms of St. Lucie County and the Fort Pierce Women’s Club.